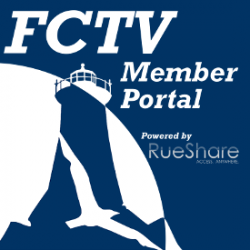 FCTV provides coverage of happenings and news from Woods Hole to Hatchville, from Waquoit to Sippewisset and everywhere in between! Last month we spotlighted Independence House, an organization that assists survivors of domestic and sexual violence on Cape Cod. Curling is an excellent activity for local youth of all ages and skill levels. Part of the Town of Falmouth Bikeways Committee’s mission is educating the public about bicycling and responding to citizen’s concerns. In March 1969, after visiting The Country Club in Brookline where the first American curling rink was established in 1820, Dr.
Jynx is a pretty brown tabby domestic medium hair female. Peanut is a 12 year old Pekingese. She came to the shelter after her owner passed away. Peanut is sweet, curious, and loves her toys. If you want a dog who will be a loyal, affectionate companion, Peanut just might be the lady for you. FHS Graduate James Barrett spoke at the Statehouse for Youth Mentoring Day this past week. The 300 Committee Land Trust has worked to permanently preserve and protect open space in Falmouth since 1985. FCTV took a walk at one of their more recent acquisitions, the Two Ponds Conservation Area.